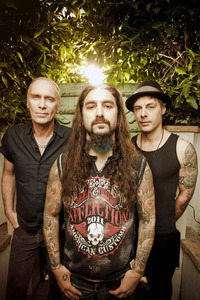 Chatting with Review Fix, former Dream Theater drummer Mike Portnoy said his new band, The Winery Dogs, which consists of former Mr. Big and Poison members Billy Sheehan and Richie Kotzen, allows him to tap into his love of classic rock, something he’s never been able to do in his two decade plus career in music. For more information on The Winery Dogs, head to their official site, here. Stay Tuned for The Full Interview With Portnoy Next Week.